A Bradford man who disappeared when asked to attend an interview at a police station has been sentenced in his absence at Leeds Magistrates’ Court. 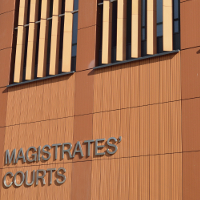 Muhammad Irfan Aslam, who investigators want to speak to in relation to a case involving the provision of unlicensed security staff in West Yorkshire, was convicted on 22 March 2018 of failing to provide information to the Security Industry Authority (SIA). Aslam, a former director of Inovation Services Groups Ltd, ignored repeated requests for information from the SIA. He also breached the conditions of his own SIA licence by failing to notify the Authority of a change of address. He was found guilty of offences under Section 9 and Section 19 of the Private Security Act 2001 and fined £440, with a £44 victim surcharge. Full costs of £2,219 were awarded against him. Aslam has also had his SIA licence revoked, and with it his right to work in the security industry. SIA investigators originally sent requests for information to Aslam in July 2017 by Special Delivery, to both his home and work addresses. Although both letters were signed for, there was no response from Aslam. In October 2017 the SIA then hand-delivered interview invitation letters to all of Aslam’s known addresses, including a possible new home address that had come to light during the investigation. He was asked to attend an interview at Bradford police station on 23 October 2017. Investigators visited the address that Aslam had registered with the SIA, and found that it was abandoned. The previous tenants had been evicted, leaving no forwarding address. On the day of the interview, two SIA officers waited to interview Aslam at Bradford police station. Aslam didn’t turn up, and hasn’t been heard of since. The court has given Aslam 28 days to pay.